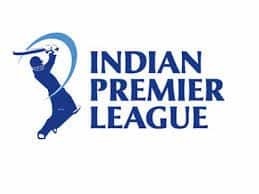 IPL 2019: At the time of filing the copy, the Royals were 77/4 in 11 overs. 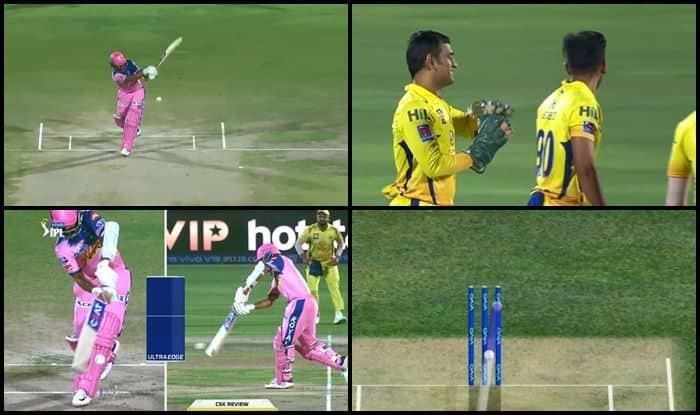 IPL 2019: CSK skipper MS Dhoni who is very good when it comes to opting for DRS was in a confused state when Chahar wrapped Ajinkya Rahane on his pads. The umpire initially adjudicated it as not out. Dhoni was in a dilemma, Chahar went up to him and convinced him to take the DRS. Replays showed Deepak Chahar was right as the ball was hitting the wickets and the umpire had to overturn his decision. Rahane had to depart for 14 off 11 balls. It was a fuller-than-a-good-length ball and Rahane had walked across a long way to work it square on the leg-side trying to flick it on the on-side. 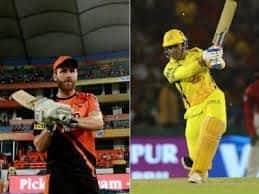 Meanwhile, Chennai Super Kings skipper Mahendra Singh Dhoni won the toss and opted to bowl against Rajasthan Royals in an Indian Premier League (IPL) tie at the Sawai Mansingh Stadium here on Thursday. Dhoni has made two changes in his side as Harbhajan Singh and Scott Kuggeleijn have been replaced by Mitchell Santner and Shardul Thakur. 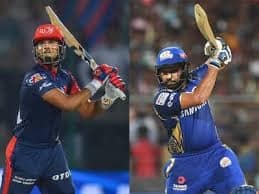 On the other hand, Sanju Samson, Riyan Parag, who is making his debut, and Jaydev Unadkat are back in the Rajasthan playing eleven. At the time of filing the copy, the Royals were in deep trouble as they had lost five wickets and was 81 in the 12th over. Ravindra Jadeja has already picked up two crucial wickets.